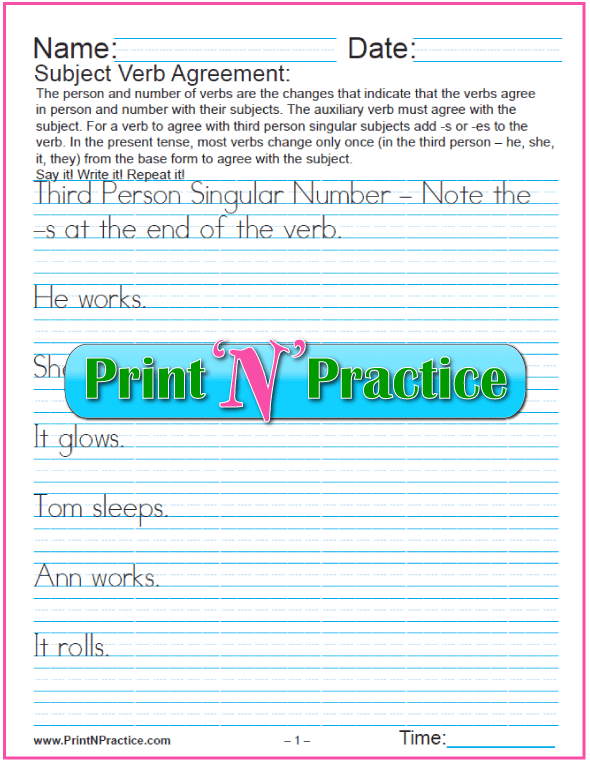 These subject verb agreement worksheets teach easy examples of number and the three persons. 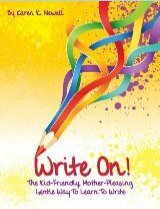 For your convenience there are both manuscript and cursive writing worksheets below. Grammar is the same in elementary school as it is in high school and college, so I really think that it is important to use the classic terms so that younger children are not confused in later years. 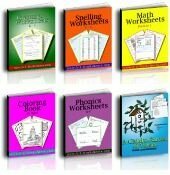 Older ESL students and adults can simply read what children would write on these worksheets. If that is enough for practice, move to the next topic. If not, these are also great writing, spelling, and handwriting practice. 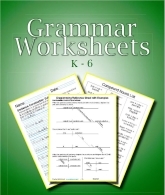 With these worksheets the correct grammar definitions are at the top as with of most of our English worksheets. Then comes the principles of sentence structure. Subject Verb Agreement Worksheets: Person - First, second, and third person. 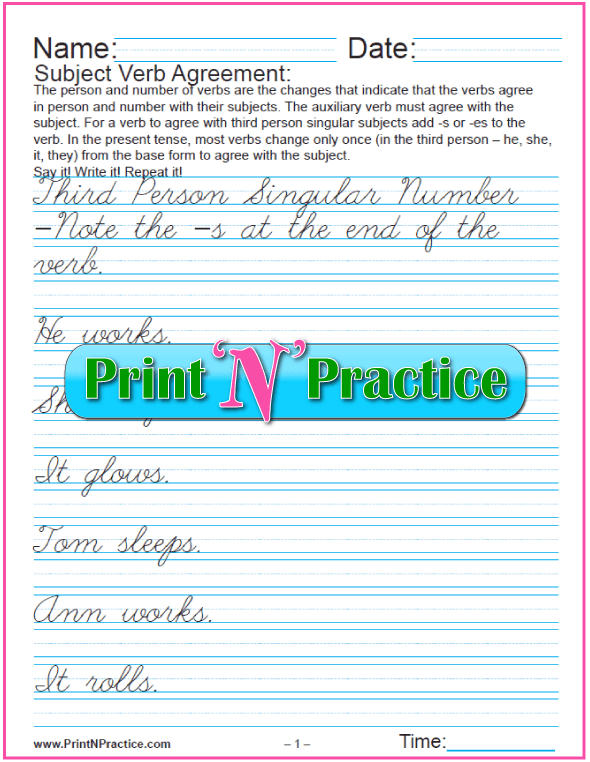 Subject Verb Agreement Worksheets: Number - The beginning of diagramming. My first goal with most days in my Grammar classes is to put the sentence on a diagram a the top of the board. Once children see the diagram often and see where the parts of speech sit, they see at a glance how things fit. They instantly recognize what the verb and the subject are, and can recognize whether the verb agrees with the subject or not. If you'd like, you can see and print our diagram charts and worksheets here. There's really only one main page worth to use for most of the year. My next goal when teaching grammar is to see that my students are reading good literature - not the sort with broken conversations and different dialects. Books like Captains Courageous are confusing to children who struggle. It has too many different ways to spell and punctuate. I like to remember that Laura Ingalls Wilder wrote interesting stories in the way that North Americans speak, so her books are very good for beginning literature and teaching grammar, especially for subject verb agreement. When we're teaching agreement, we can't simply ask children or ESL students, "Does that sound right?" If they haven't heard or read it, they cannot recognize it without being taught at least once. Once you see that your students are reading good literature, rejoice! Otherwise have them copy some sentences or paragraphs, or have them write their favorite selections for practice. Reading good selections out loud is a help, too, whether you read them or the students read them. The person and number of verbs are the changes that indicate that the verbs agree in person and number with their subjects. Person: I, you, or he does what? First, second, and third person. Number: How many are doing what? Singular subjects require singular verbs and plural subjects require the plural verbs. It's the same in most modern languages. Once the children understand this, other languages are easier. If your student knows another language, have him translate so he can see it in his own tongue. That works wonders! 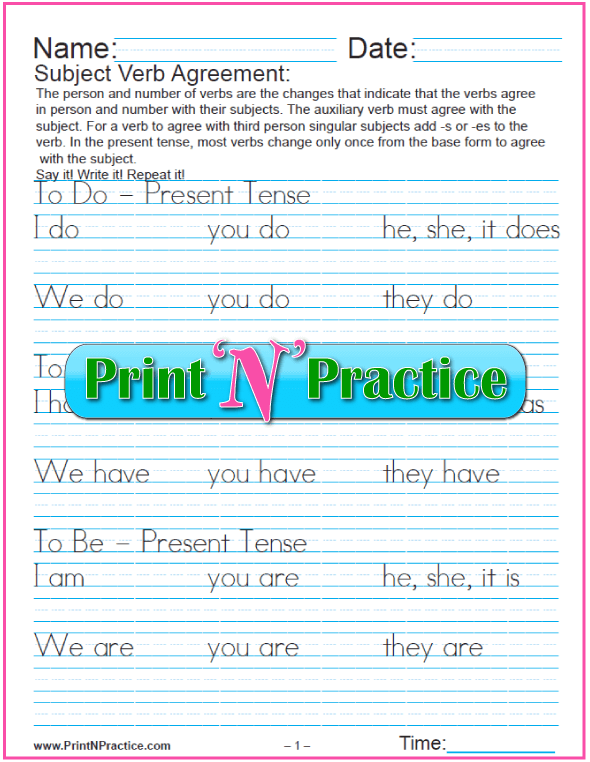 Older students can quickly read through these Subject-Verb Agreement worksheets to see that plural subjects require plural verbs. Show how forming the singular verb in the third person for a singular subject - third person singular - usually only requires adding -s or -es to the end of the present tense verbs. VERY many times, if the subject has an s (showing plurality) at the end of the word, the verb will not end in s; if the subject does not have an s at the end of the word the verb will have an s. This is not a maxim to teach because it does not hold throughout; but it can be a relief to new students to see that there is an easy check for third person agreement of simple thoughts. Remember that a list of verbs will have many nouns in it, both singular and plural nouns. This means that many nouns may also be used as verbs - and this means both the singular and plural, etc. It is important when teaching verbs to include this tip since the use of the word changes without its spelling changing. The use of the word in sentence construction is what defines its grammar definition. Subject verb agreement depends on this understanding. 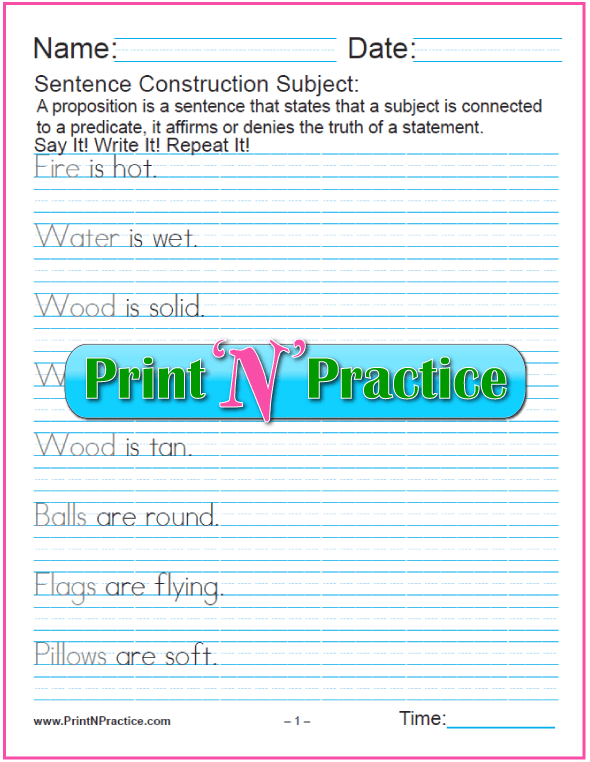 See our lists of singular and plural nouns. 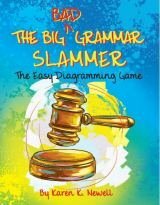 Create your own sentences & third person singular verb forms. 7 pages. Third Person Singular - Practice and create your own. 7 pages. 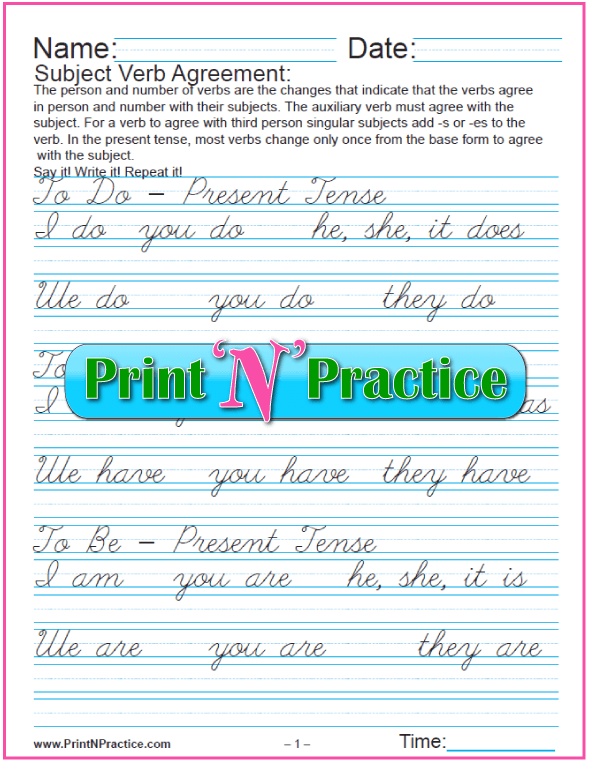 Cursive Subject Verb Agreement Worksheets. I, you, he, she 3 pages. Cursive Third Person Singular - Practice and create your own. 7 pages. 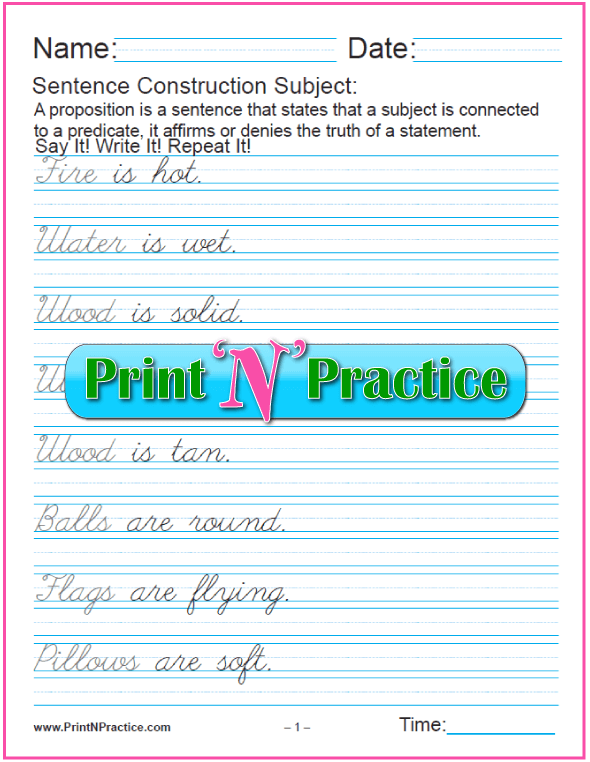 Most of our Grammar practice pages are in both manuscript and cursive writing worksheets. The second set is very similar, yet there are different uses for some of the words. Brighter students only need study one set of these to get the main idea. The first two across show the subject in gray and the second set shows the predicate in gray. Subject Verb Agreement: Is and Are. 3 pages to print or file. 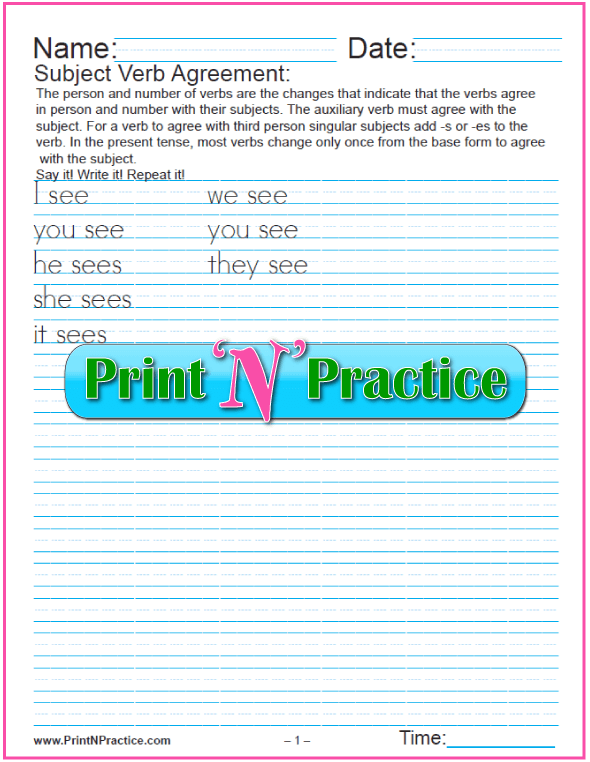 Subject Predicate Worksheets: Is and Are. 3 pages. Subject Verb Agreement: Is and Are. 3 cursive pages. 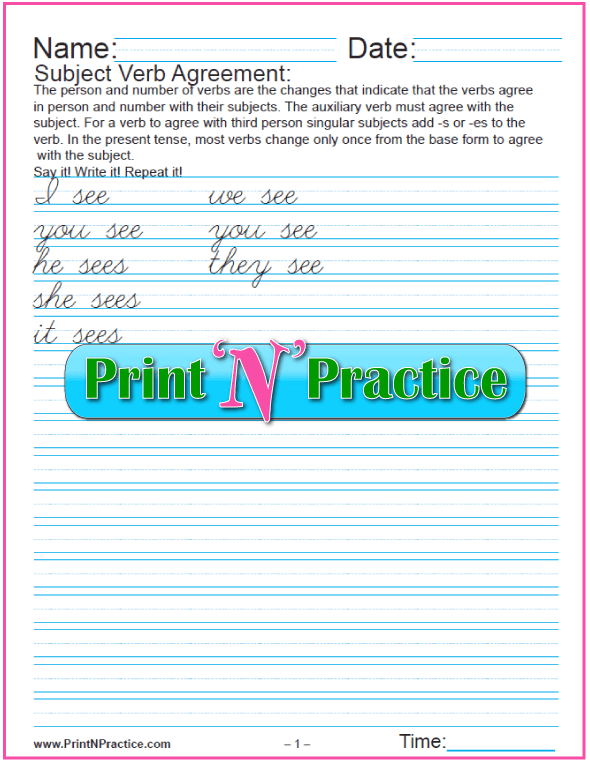 Cursive Printable Predicate Worksheets: Is and Are. 3 pages. And you can buy hundreds more subject and verb worksheets in our English Grammar bundle.